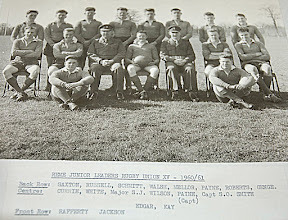 A couple of years ago Barry Johnson first contacted me with a madcap scheme to have a reunion of the 1960 intakes of the REME Junior Leaders Unit at Arborfield. Of course there was never a chance of this ever happening but, as I’ll sign up for anything, I said; ” sure I’ll come along”. It is a tribute to his tenacity and organisational ability that slowly but surely he persuaded more and more people to sign up and make this look like a viable proposition. 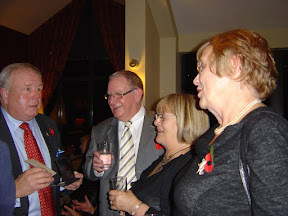 The final result was a gathering of some 50 veterans and their ladies, covering the era of ’58 to ’67, congregating at the Moat House Hotel on 12 November 2010. Josephine and I arrived, dumped our bags in the room and headed for the bar for a much needed sandwich and a beer. I was quite taken aback ny the cry of: “There’s Jacko, I’d have recognised him anywhere”. I would like to think that this was a tribute to my good looks rather than having seen my up to date photo somewhere. We did get a cup of tea and a sandwich and were preparing to head back to the room to change for dinner when somebody (Alan?) suggested a quick one at the bar. In the army a quick one could last for three or four days! As it was it only lasted for an hour. We congregated again in the bar some little time later to indulge in a few reminiscences, which seemed to be directly proportional to the number of G & Ts consumed, until we were summonsed to the dining room. One could not fault the meal or the service and by the time we reached the sweet course we were in good form for Barry to present his presentation of life in the JLU. A number of inmates had supplied photos for this and whilst there were many good memories there were a few sad ones. The loss of Dicky Bird in a canoeing accident was particularly poignant for me as I was one of those who went to his funeral as a pall bearer. Another story was told of when Barry, Allan, Jock Steen and I went AWOL in protest at the inhuman treatment. I lasted around 18 hours and then returned. The other three were picked up in London by the police and held for three days. It says something for the system that none of us was ever formally punished for this and we did actually achieve some changes. The architect of the abuse signed up to be a priest – nuf sed!! Whatever they threw at us, however, made us what we are today and without the discipline and organisation I for one would never have achieved anything. There were two stories that also give an indication of life in those days. One had got a job but hated it and told his father. The said father said not to worry son and took him down to the recruiting ofice and signed him up. Another went home on his first leave and found that his parents had moved and never gave him a forwarding address! The other saving grace was sport and other extra mural activities. These got you out of mundane duties such as moving the coal from one bunker to another or peeling potatoes for the cookhouse. We were eventually ushered out of the dining area and back into the bar, not quite kicking and screaming I must admit. There followed much more reminiscing interspersed by the necessary lubrication of the vocal chords. With the exception of Barry’s good lady the girls bade their farewells at various points and eventually there was a small core group who intercepted the Reading Pipe and Drum band who had returned from their dinner night. As there were a few ex military and RAF persons among their members this was an excuse to delay leaving for another while. I have the dubious privelege of being the last to leave the bar! 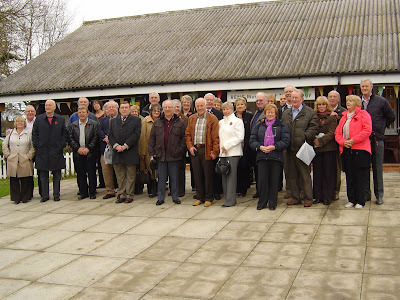 The next morning, following a hearty breakfast, we assembled in the foyer at 9.30 and made our way to Arborfield and the REME Corps Museum. I do not think that there was anybody who really remembered the area as it was 50 years ago. I certainly didn’t. 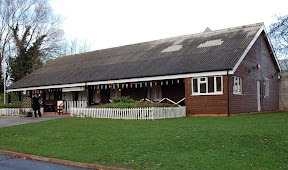 What I did remember was the Guardroom a replica of which has been built onto the front of the museum and forms the entrance foyer, coffee bar and shop. Here we were welcomed by the curator who proceeded to give us a guided tour. They had retrieved the photo albums and cuttings from the period we were in residence and it was a really nostalgic event. After posing for a group photo we took off for the Bramshill Hunt for lunch. This is the subject of another post – click the link. From here we returned to the hotel and from thence our various ways. A truly memorable reunion, I only wish I could put names to all the faces. 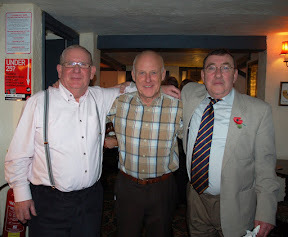 3 Comments on "REME JUNIOR LEADERS 50TH ANNIVERSARY REUNION"
Sorry, my mistake. I joined the Junior Leaders in September 1965 and left for Germany in September 1967. I would like to hear from any of my intake. 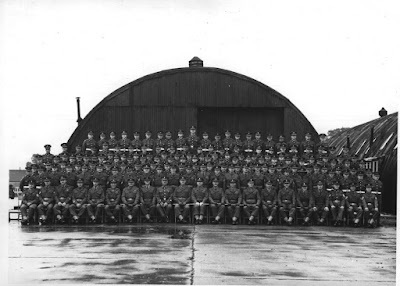 I joined the Junior Leaders at Arborfield in September 1967 and left for Germany in September 1967. Do you have any other names of chaps during that period?